Women in Bangladesh are driving its development journey in a big way as Bangladesh’s economic transformation is driven, in large part, by social changes, starting with the empowerment of women. 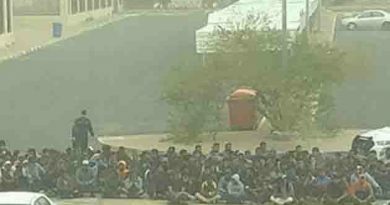 Bangladesh Ambassador to the Netherlands Sheikh Mohammed Belal made this assertion while speaking in a high-level seminar at the International Criminal Court as a designated panelist. in partnership with the International Criminal Court (ICC) arranged this seminar on the occasion of launching of the International Gender Champions Den Haag Hub. “Gender Champion” is an initiative where individuals make specific commitments to pursue the cause of women empowerment while pledging for upholding the spirit of gender equality in all spheres of work. Ambassador Belal terming “women empowerment” as a great social achievement of Bangladesh, shared the history of how it came about. 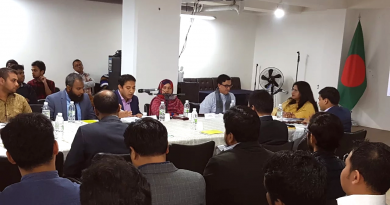 Narrating the history of Bangladesh’s development journey where innovative initiatives like microfinance, apparel and textile industry helped women to come out from the confine of their households to the market place and industry. Supported by government’s hugely enabling policies, millions of women of Bangladesh joined forces to break the glass ceilings that many of their compatriots in similar countries are still fighting to get rid of. Citing the World Economic Forum’s “Global Gender Gap Report 2018”, Ambassador Belal shared how Bangladesh earned its rank at 48th well ahead of the countries like USA, Italy, Austria, Croatia, Slovak Republic, Czech Republic, Singapore, etc. 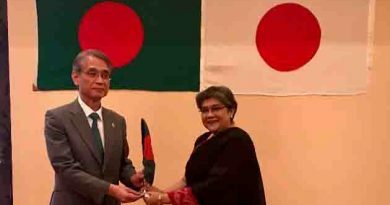 Bangladesh performed exceedingly well in the political empowerment domain being ranked at 5th position in the same report where only Iceland, Nicaragua, Norway and Rwanda are above Bangladesh, Ambassador Belal noted. 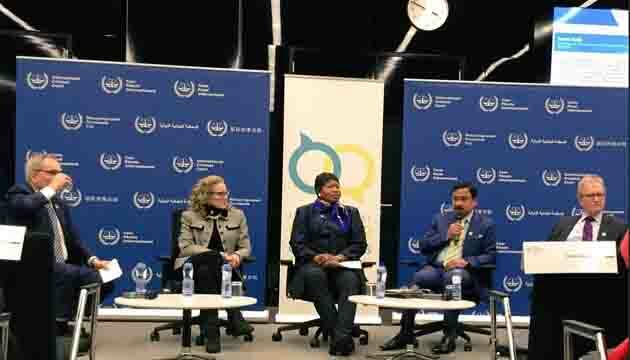 While speaking about the contribution of working women of Bangladesh’s apparel and textile industry, Ambassador Belal informed the audience that Bangladesh increased wages by 262 per cent in last nine years while prices of apparel dropped about 6.53 per cent in the US and about 7.00 per cent in Europe at the same time period. 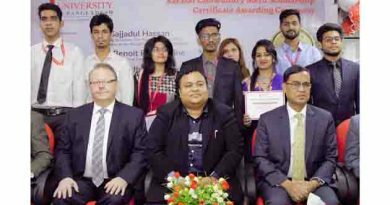 Ambassador Belal, therefore, urged the brands and conscious consumers to consider “optional barcode” to contribute voluntarily for the workers in the RMG industry and requested European Union and brands to match such contributions in the form of topping up. 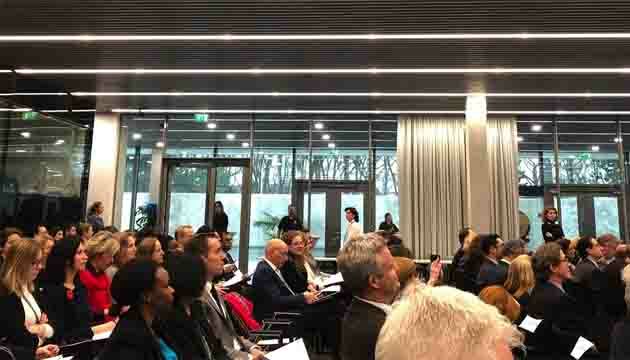 President of the ICC Judge Chile Eboe-Osuji inaugurated the seminar ,where Ms. Fatou Bensouda, Prosecutor of the ICC, Ms. Caitlin Kraft, Executive Director, Women@TheTable and IGC Co-Founder, MR. Hans de Boer, Chairman, Confederation of Netherlands Industry and Employers (VNO-NCW) joined the panels which was moderated by H.E. Heinz Walker-Nederkoorn, Ambassador of Switzerland to the Netherlands. Mr. Peter Lewis, Registrar of the ICC made the concluding remarks where H.E. Sabine Nӧlke, Ambassador of Canada to the Netherlands made the opening comment.